Located at the junction of Sims Drive and Aljunied Road, Sims Urban Oasis is a 99-year leasehold residence representing the best in city-edge living. Its excellent connectivity means everything is close to you, including the Marina Bay, CBD, Aljunied MRT Station and more. This makes going to work or school or anywhere else a breeze – convenience you enjoy every day at this location. Encompassing a size and scale rare in Singapore, Sims Urban Oasis features lush greenery that stretches into the horizon, providing a wide space for outdoor activities. Three statuesque structures extend skyward, offering a priceless panorama of Singapore’s skyline. Sims Urban Oasis is set to transform this location and set the standard for future properties. SMS ‘SimUrbanOasis’ & YOUR NAME TO Alvin Tay (+65)91259978 or simply click the button on the right to grab this amazing promotion. • 10-min drive to CBD and 15-min drive to Changi International Airport where a slew of exciting developments taking place, e.g. SUTD, Jewel, and Changi Terminal 4 & 5 etc. GuocoLand Limited (“GuocoLand” or “GLL”), a public company listed on the Singapore Exchange, is an award-winning developer whose developments are distinguished by quality, innovative designs and concepts. A major developer head-quartered in Singapore, GuocoLand has substantial land bank in the embedded markets of Singapore, China, Malaysia and Vietnam, which it will continue to build on. Get from the best developer !! Hazel Park Condo is a 999-years leasehold development located at 15 Hazel Park Terrace, Singapore 678943, off Upper Bukit Timah Road, in District 23. Completed in 2001, it comprises 696 units. Hazel Park Condo is just minutes walk away from the Bukit Panjang light rail station and there are numerous bus services available nearby. Several schools are sprawled across the area, as are restaurants and establishments. Residents can get their daily necessities and a host of other amenities at the Bukit Panjang Plaza or Ten Mile Junction, which are located just a few bus stops away. In adition, the Bukit Batok Golf Range is within reasonable driving distance. For vehicle owners, it teaks less about 20 minutes to travel to the business hub and the vibrant Orchard Road shopping district, via Ayer Rajah Expressway and Pan Island Expressway resperctively. 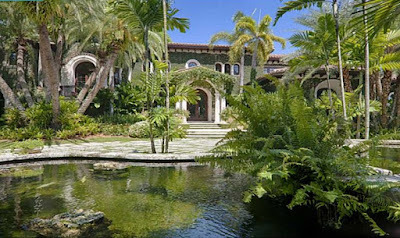 Even though it might seem like a facile process, finding the perfect luxury real estate for sale in the USA requires a thorough research throughout a wide selection of luxury estates, homes, islands and many others. 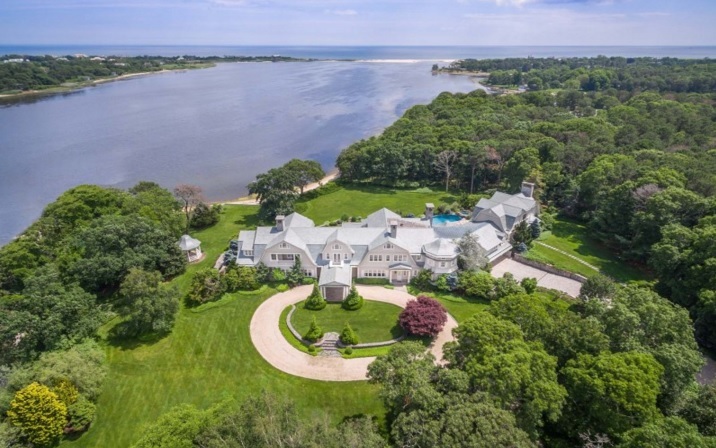 This comprehensive process is eased by highly-qualified professionals and luxury real estate listings with American reach and impeccable expertise. The ever-growing catalogs of luxury real estate listings available nowadays offer the customers a complete collection of luxury properties, based on lot size, price and number of bedroom and bathrooms among others. Most of the luxury listings search display photos, maps, descriptions and amenities, for a more visual experience. Whether you're envisioning yourself in an exquisite house in a city that never sleeps or up in the mountains, you can choose among luxury real estate for sale by lifestyle, emplacement and other features. No matter if you're looking for the house of your dreams or you have finally decided to acquire a vacation home, you can refine your search with the help of a real estate professional, whose position is helping high profile buyers and investors save time and money, while gaining an excellent experience when it comes to buying a luxurious property. Locations like Beverly Hills, Malibu and Boca Raton dispose of an extensive array of supply for luxurious real estate for sale. Since the American luxury real estate market is constantly changing its shape, the help of a real estate agent is much needed. His expertise is based on cutting edge technologies which helps him search, submit and syndicate the most exquisite property listings in various parts of the US. This is the safe and best path to ensure that each and every high buyer will acquire the perfect fit for its needs. You might be overwhelmed by the large number of luxury real estate for sale in the USA, part of it to be completed, alongside the exhaustive amount of properties available on the real estate market. There are compelling residential compounds able to suit all the customers on the dot, tailoring the search to specific requirements. High buyers and investors are offered a one-of-a-kind convenience - finding their dream house or property helped by a renowned team of professionals and their all-encompassing expertise. According to a study conducted by Wealth-X and the Sotheby’s International Realty brand, green homes, smart homes, private islands and serviced apartments are situated worldwide amongst the luxury home favorites, because they serve high profile buyers' aspirations, needs and lifestyle considerations. But the American luxury real estate listings don't include only these four types of luxury residences, but many others as well. You can always let your real estate agent know your preferences and manage the details you can't always pay attention to base on your incomplete experience. Specific aspects like the quality of the construction, the architectural integrity and other design details are able to turn the luxury real estate into such desired properties. High profile homebuyers should allow themselves to take a certain comfort from buying a lavish property, being able to enjoy a long term experience, be it for their whole life or only for their vacations. IDEO Sathorn – Tha Phra is developed by Ananda which stand tall at 31 storeys high. It has a good location which within 5 mins walk to Pho Nimit BTS. SMS ‘IdeoSathorn’ & YOUR NAME TO Alvin Tay (+65)91259978 or simply click the button on the right to grab this amazing promotion. Why IDEO Sathorn – Tha Phra? * Affordable Pricing only from THB/ SGD112k! Investing in Urban Space Only from S$112k! What will you do for the rest of your life? This is a simple question that boggles the minds of many people. In order to make the best use of time, you would have to control it. IDEO…gives your time back, while satisfying all the needs of your urban lifestyle–allowing you to LIVE-WORK-PLAY. It provides you with a life without time limits, connects you to all forms of transportation, and gives you a living solution to improve all aspects of your life. SMS ‘IdeoSathorn’ & YOUR NAME TO Alvin Tay (+65)91259978 or simply click the button on the right..
Heighten your sense of living with the “Space Efficiency Concept” which fulfills all demands and enhances the effectiveness of every square inch of space to the max. “Best Interior Design Show Home” from Asia Pacific Property Awards, 2013 – 2014 is the guarantee of our success. Ananda Development is a Public Listed Company, founded in 1999 by Chanond Ruangkritya on the Stock Exchange of Thailand, with security symbol ANAN. This was listed since 2012. Residential Price start from USD 1XXk. Offices Price start from USD 2XXk. The Gateway Cambodia is mixed development hosting commercial, residential and retail activity is decomposed into an assembly of masses; a towering ethereal box juxtaposed against a staggered composition of cuboids. Simply SMS or Whatsapp “Gateway” to +65-91259978 or simply click the button on the right and submit to get an Instant Free copy of the E-Brochure and Floorplan. Modern Design with premium luxurious facilities. Live, work and play within one development. Right in the heart of Phnom Penh City, The Gateway Cambodia is located in the CBD of booming Phnom Penh, along Russian Boulevard, the main route from the airport to the city centre. Major Bank Headquarters, International Schools, Phnom Penh Universities, Royal Phnom Penh Hospitals, Boutique Eateries, Flagship Retail stores are all within reach from The Gateway Cambodia. Potential tenants would tap onto the pool of workforce working in the CBD. The Gateway Cambodia Phnom Penh is developed by Singapore Developer TACC (C.R) Ltd (Singapore Developer – Tiong Aik ). With local Singapore offices, Singapore investors has a much easier avenue to get in touch with the developer to get the latest update of their purchases. The developer, TACC (C.R) Ltd., is a subsidiary of TA Corporation Ltd.
TA Corporation Ltd is an established quality property and construction group with a track record of over 40 years’ experience in the Singapore construction industry and 20 years’ experience in real estate development. 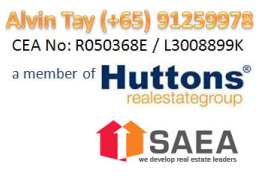 Inaugurated in 1972, TA Corporation entered the real estate development business in Singapore, backed by their experience in working with major real estate developers. Targeting middle to upper middle markets, they have since ventured overseas through joint-venture partnerships in the People’s Republic of China, Thailand and Cambodia. With the ability to undertake a wide spectrum of projects for public and private sector clients, most of TA Corporation’s clients are established names, including many Singapore government organisations. Today, TA Corporation also provides services such as steel fabrication and metal works, worker training and test centres in India, Philippines and Singapore, as well as the design, installation, and maintenance of air-conditioning and mechanical ventilation system. FInd Out more on THE GATEWAY. Why invest in The Gateway ? Residential Prices from USD1XXk Only. Find out more. Simply SMS or Whatsapp “Peak” to +65-91259978 or simply click the button on the right and submit to get an Instant Free copy of the E-Brochure and Floorplan. **Further discounts available for bulk purchases! Only from SGD68,000 Onwards and Ready to Move In !!! SMS ‘ElioDelRay’ & YOUR NAME TO Alvin Tay (+65)91259978 or simply click the button on the right to grab this amazing promotion. Elio Del Ray Bangkok Thailand by Ananda offers the owner three different concept primarily ; The Island, The Beach and The Cliff. Inviting your friends to the comfortable party surrounded you by the pool over the weekends. Take the time for the most enjoyable and the utmost relaxation whenever your heart desires with The Island. With the design as if being a private island extended into the sea , you could be closer to the water. True Coffee* is provided for you to relax with the sweet scent of coffee and natural refreshment. 85 meters swimming pool with outdoor daybed. With an empty space, you could relieve your brain and get the brilliant idea for your work on your holidays. Getting along to the pool, either looking into the deep sky at The Cliff where designed to the divisibly level or open up for any activity with fitness connection. From common area to personal area, takes only a few minutes to go. Every building was designed to connect to common area and open your sight for Urban Oasis every time you want. With various sizes and fully-furnished, this can fulfill your lifestyle. Civilized urban to live your everyday as the holidays, since city life and interference always be together but not here. Only few stations from Udomsuk and Punnawithi, you can feel relaxing oasis with perfectly fulfill your needs. Easily connect with express way moreover, the short cut to the happiness much more simple. SMS ‘ElioDelRay’ & YOUR NAME TO Alvin Tay (+65)91259978 or simply click the button on the right..
Get a unit from Elio Del Ray Now !! Find out more !!! Why Buy Elio Del Ray ? * Affordable Pricing only from THB1.72m/ SGD68k! Buy Elio Dey Ray Today ! SMS ‘IdeoO2Ananda’ & YOUR NAME TO Alvin Tay (+65)91259978 or simply click the button on the right..